Since biblical times, the sukkah—a temporary structure giving thanks for the fall harvest and commemorating the exodus from Egypt—has served as the centerpiece of the eight-day Jewish holiday of Sukkot. 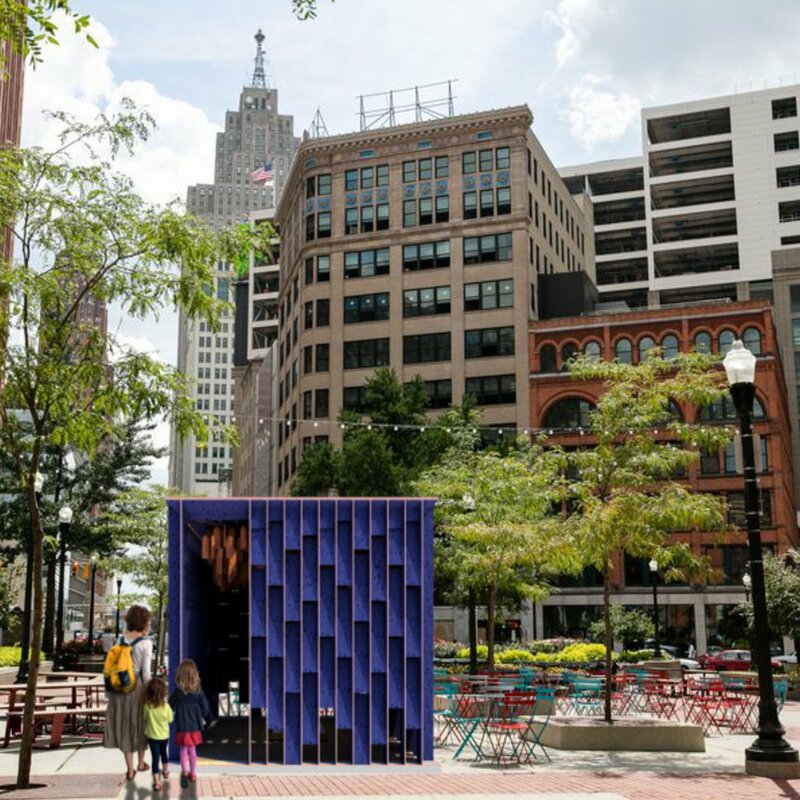 As part of Detroit Month of Design, five sukkahs, selected through Detroit’s largest international design competition in recent history (78 applications from 14 countries), were displayed in Detroit's historic Capitol Park, accompanied by complementary programs and events. Detroit, home to 1300 urban farms, is also the only UNESCO City of Design in the United States. Sukkah x Detroit celebrated both. Capitol Park was transformed into an open-air marketplace featuring produce, food products, crafts, and Jewish educational events interspersed amongst the sukkahs, showcasing Detroit’s design, urban agriculture, and Jewish communities on a national and international stage. Jury: Abir Ali, The Platform; Melinda Anderson, Design Core Detroit; Jeff Kidorf, Albert Kahn Associates; Patty Boyle, Detroit AIA & SmithGroup JJR; Tiff Massey, Detroit Artist and Kresge Fellow; Noah Resnick, UD Mercy School Of Architecture and Laavu; Anya Sirota, University of Michigan Taubman College and Akoaki. The 5 winning designs were reviewed by Rabbis Ariana Silverman and Yisrael Pinson to assure they meet biblical requirements; the construction documents were reviewed and certified by Jon Koller, PE, to assure they meet code. Capitol Park. Daniel Kahn at 5 pm with DJs before and after.